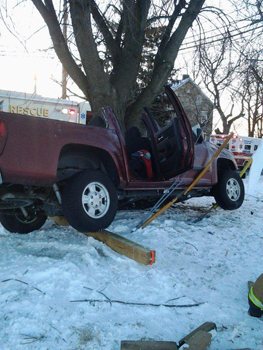 Saturday, Dec. 7, 2013, - At 10:45 hours, EAFD was dispatched to an MVA with injuries. Fire Chief 4651arrived on scene and took command. 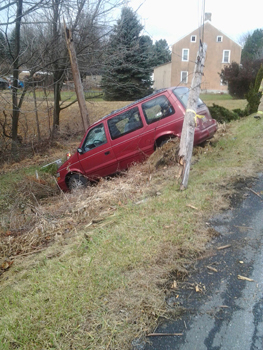 He reported a one vehicle accident with a pole sheared off. Rescue 4641 responded with a full crew and assisted an EMS 49 Medic unit. QRV4642 also responded. Tuesday, Oct. 15, 2013, - At 21:37 hours, EAFD was dispatched for dwelling fire. 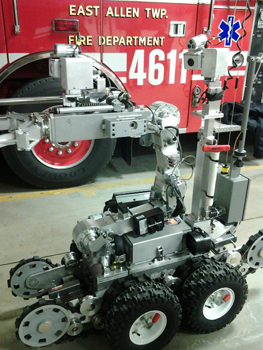 Chief 4651 arrived on scene and took command. Command reported a working fire and requested a First Alarm assignment and Fire 42 (Northampton) for RIT. Crews from Engine 4611 pulled a 1-3/4 hand line and entered the dwelling using the front door. Commond requested a Second Alarm assisgment. The crew from Tower 4621 was put into operation to laddder the roof, while other Firefighters searched for and rescued a dog from the house. The dog had no injury and was looked at by EMS 46. Units cleared the scene within three hours. Credited to Newsworking. From October 6-12, we'll be spreading the word that more fires start in the kitchen than in any other part of the home—and we'll help teach people how to keep cooking fires from starting in the first place. -U.S. Fire Departments responded to an estimated annual average of 156,600 cooking-related fires between 2007-2011, resulting in 400 civilian deaths, 5,080 civilian injuries and $853 million in direct damage. -Two of every five home fires start in the kitchen. -Unattended cooking was a factor in 34% of reported home cooking fires. -Two-thirds of home cooking fires started with ignition of food or other cooking materials. -Ranges accounted for the 58% of home cooking fire incidents. Ovens accounted for 16%. -Children under five face a higher risk of non-fire burns associated with cooking than being burned in a cooking fire. -Microwave ovens are one of the leading home products associated with scald burn injuries not related to fires. Nearly half (44%) of the microwave oven injuries seen at emergency rooms in 2011 were scald burns. -Clothing was the item first ignited in less than 1% of home cooking fires, but these incidents accounted for 16% of the cooking fire deaths. -According to an NFPA survey, only one-third of Americans have both developed and practiced a home fire escape plan. -Almost three-quarters of Americans do have an escape plan; however, more than half never practiced it . -One-third of Americans households who made and estimate they thought they would have at least 6 minutes before a fire in their home would become life threatening. The time available is often less. And only 8% said their first thought on hearing a smoke alarm would be to get out! -Almost two-thirds (62%) of reported home fire deaths resulted from fires in homes with no smoke alarms or no working smoke alarms. -Working smoke alarms cut the risk of dying in reported home fires in half. -In fires considered large enough to activate the smoke alarm, hardwired alarms operated 92% of the time, while battery powered alarms operated only 77% of the time. The material contained was obtained from NFPA’s website. Their website (http://www.nfpa.org/) contains many useful links and information. 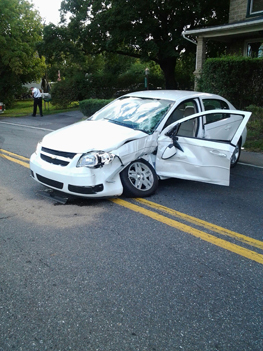 Thursday, Sept. 26, 2013, - At 15:39 hours, EAFD was dispatched to an MVA with injuries. Deputy Chief 4653 arrived on scene and took command. 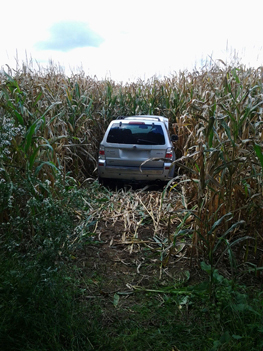 He reported one vehicle in the roadway with entrapment and one vehicle in a corn field. Crews from Engine 1512 (Hanover Twp. NC) were instructed to do a door pop on the vehicle in the roadway. Crews from Engine 1512 and Rescue 4641 provided debris cleanup and traffic control. Units cleared the scene within 50 minutes. 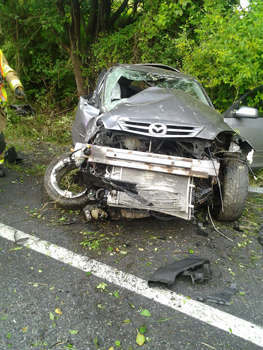 Sunday, July, 2013, - At 19:06 hours, EAFD was dispatched to an MVA with possible rollover with injuries. Chief 4651 arrived on scene and took command. EMS 46 and Medic 49 provided patient care. The victim was self extricated from the vehicle. Crews from Rescue 4641 provided debris cleanup and traffic control. Units cleared the scene within 30 minutes. 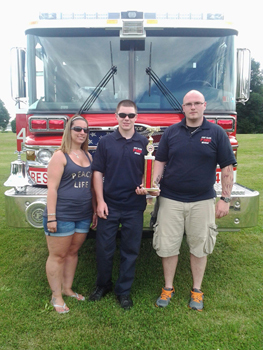 On Sunday, June 23, 2013, - Tower 4621 and Rescue 4641 won first place at the Antique Fire Apparatus Muster. 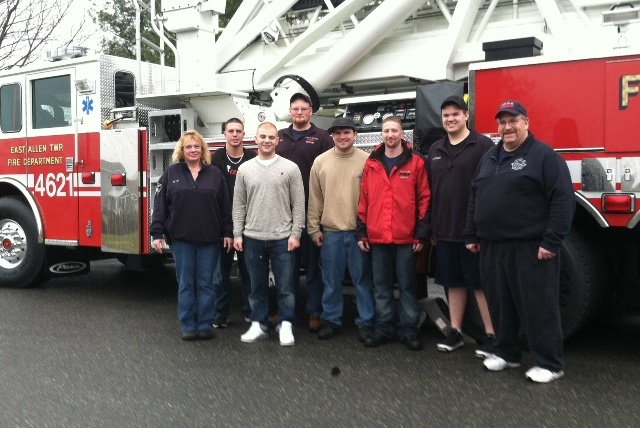 The event was sponsored by the Union Historical Fire Society and was held at the Goodwill Fire Company in Trexlertown. Judging was done on both Antique and Modern Fire Apparatus. 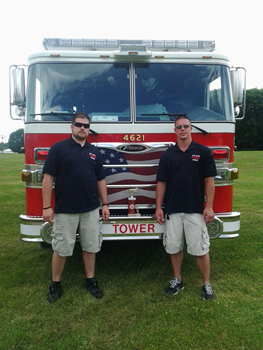 On Saturday, May 4, 2013, - a Dedication Ceremony was held for Tower 4621 and our Memorial Flag Pole Project by Eagle Scout Andrew Shaffer. The event was well attended. See more Photos. Thursday, April 11, 2013, - Firefighter Kevin Garrity recived the T.P.A (Truthfluness Patriotism Altruism) awarded for Unselfish Service for the Welfare of Others. Kevin was chosen from among 400 students in his graduating class. March 2013, - Firefighter Paul Mertz recently graduated from basic training at the Great Lakes Naval Station Recruit Training Center in Great Lakes, IL. Monday, Feb. 11, 2013, - Members of the East Allen Fire Department and the Allen Township Fire Company took park in a bomb safety and explosives familiarization class. 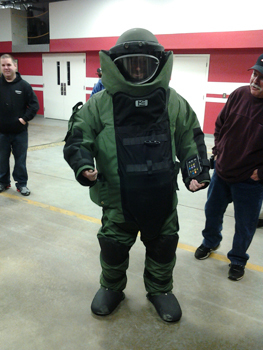 Following the classroom portion members got to see first hand some of the equipment and clothing used by the bomb squad. 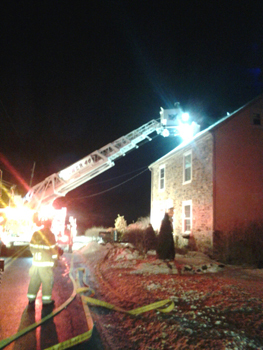 Sunday, Feb. 10, 2013, - At 21:39 hours, EAFD was dispatched for a reported chimney fire on Locust Road. Chief 4651 arrived on scene and took command. Chief 4651 requested a Tanker from Fire 45 (Allen Twp.) Chief 4651confirmed that it was a working chimney fire with a light smoke condition in the dwelling. Tower 4621 responsed to the address and provided access to the chimney. The fire, while confined to the chimney, proved to be very stubburn. Crews from 4611 entered the dwelling to check for extension on the second and attic floors. Chief 4651 reported the fire to be out and crews would remain on scene for cleanup. Units cleared the scene within 3 hours. 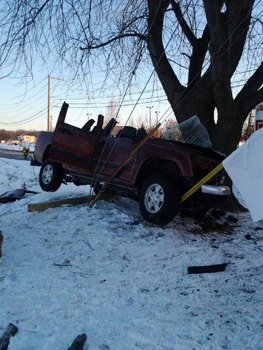 Sunday, Feb. 10, 2013, - At 06:27 hours, EAFD was dispatched to an MVA with entrapment. Chief 4651 arrived on scene and took command. Crews from Rescue 4641 established a full Hurst set-up and portable lighting. Crews stablized the vehicle and removed the windshield and cut the roof off the vehicle. QRV 4642 pulled 1 3/4" hand line. Fire 15 (Hanover Twp. NC) assisted with crews from Rescue 4641. The pickup truck operator was taken to the hospital. 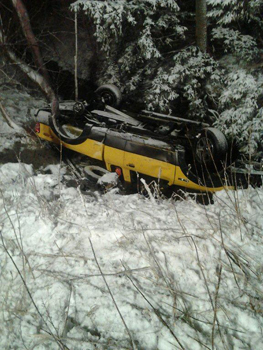 Friday, Feb. 8, 2013, - At 20:29 hours, EAFD was dispatched to an MVA with rollover into a creek. Rescue 4641 arrived on scene. Captain 4655 took command. Driver was out of the vehicle upon our arrival. Crews from Rescue 4641 set-up lighting and assisted the towing service with removal of the vehicle. 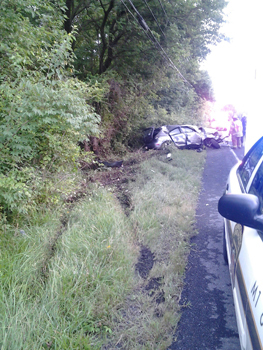 The driver was transported to the hospital. Friday, Feb 1, 2013 - At 09:56 hours, Tower 4621 was dispatched for a first alarm assignment with Fire 15 (Hanover NC) for a Carbon Monxide incident. 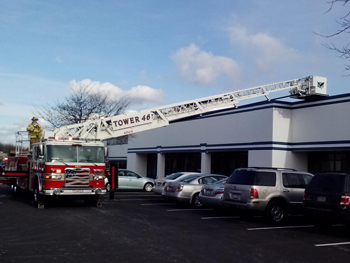 Fire 15 requested Tower 4621 to go into service on the A side and check the roof HVAC units. Tower 4621 cleared the scene within 1 hour. Ø You must have a permit for the current calendar year. These are available from the Township Office. Ø You must call the 911 Center prior to any burn, and you will be asked for your permit number. This is new. Ø Do not burn material that can be recycled. Ø Do not burn yard waste. Ø Please read and follow all of the regulations on your permit. Ø Refer to Township Ordinance 2007-07 for additional information on burning regulations. Ø Are the keys in your Knox Box up to date? Ø Have you changed keys or changed locks? Ø If so, the keys in the Knox Box must be updated as well. Township Ordinance 2003-4 requires that most businesses and some apartment buildings install and maintain lock boxes. It also requires that the keys be kept current. If you need to update any of the keys in your Knox Box or you have any questions, please contact Fire Marshal John McDevitt at 484-239-2766 to make arrangements. Thanks. Members of EAFD send him off.